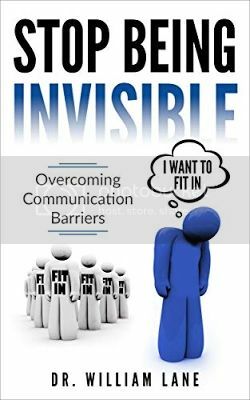 Stop Being Invisible - Overcoming Communication Barriers comes to us from Dr. William Lane, global educational consultant. 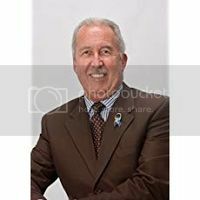 He has spent over 35 years providing educational services, first working in public education as an elementary, middle and high school teacher and school administrator; and then later as a university professor and department chair of special education programs. He has dedicated his life’s work to educating students and improving their opportunities for success in life. Having experienced firsthand the pain of missed opportunities that were a direct result of his limited ability to communicate effectively from childhood until well into adulthood, his passion about this subject shines through as he very effectively communicates in this book how to improve not only the quality of your communications with others, but also your resulting experiences in life. His “WHY” to answering his calling to not only work on changing his own communication challenges, but to focus his work on improving the struggles of others, occurred one day when during a conversation, it was brought to his attention that people often jokingly referred to him as a “weatherman.” Thinking it odd, he questioned what was meant by that name. He was told that people avoided talking to him because usually, the only time he contributed to a conversation was when he asked about how the weather was. He realized that he was choosing to participate in conversations by becoming a “non-participant.” Whether in the role of boyfriend, husband, dad, brother, uncle, cousin, friend, coach or any of the many other roles in life he had assumed, few people had been able to understand his non-communicative style. The response was not kind, but it did become a major wake-up call. This powerful and descriptive one-sided revelation of how others felt about having him as part of their conversations made him realize that it was time for drastic changes. He is no longer called “the weatherman,” and has gone on to guide many others with communication barriers to adopt effective communication skills resulting in the deeper connections that come from great conversations. Throughout Dr. Lane’s thirty-five-year educational career, his passion has always been providing information, practice, and support to individuals with special needs. He believes that everyone, in their own way, can become a contributing and productive member of society and that effective communication is the most important of all life skills. Improved communication skills improve the quality of life for all, not just individuals with special needs. Dr. Lane is a proficient, dynamic, and sought after public speaker and speaks to audiences around the world. His focus is educating individuals, families, and educators on the “awesome power” of effective communication skills. He inspires his audiences to practice, discuss, and encourage others to improve their communication skills, while demonstrating practical ways to understand, retain and apply the skills he teaches.